For many asthma sufferers, medications don't work well in controlling their symptoms. 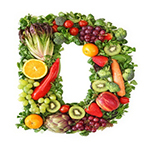 Washington University School of Medicine researchers want to see if vitamin D supplements can help. Several studies have linked low vitamin D levels in asthma patients to decreased lung function and increased risk of asthma attacks. "We are taking the next step -- trying to replace vitamin D in individuals with asthma who have low levels of the vitamin and poorly controlled asthma despite taking a low dose inhaled steroid," said lead researcher Dr. Mario Castro. "The vitamin D deficiency may explain why their medications don't work well." Some studies show that as much as half the population is deficient in vitamin D. And among children and adults with asthma, Castro said, as many as 30 percent to 40 percent do not fully respond to an inhaled steroid -- the main course of treatment. "Vitamin D deficiency might be contributing to their lack of response," Castro said. Washington University is one of nine sites across the country participating in the study. Castro said he is seeking about 50 volunteers from the area. Study participants must be 18 years of age or older, have a physician's diagnosis of asthma and have been taking some type of therapy to control their asthma for at least one year. Volunteers will be screened to determine their vitamin D levels and how well their asthma is controlled. Participants will receive daily vitamin D supplements in amounts based on the latest recommendations for maintaining normal levels, Castro said. To minimize differences in treatments, all participants will receive at no cost the inhaled steroid ciclesonide, also known as Alvesco. Patients also will be given the same rescue medication, levalbuterol, also known as Xopenex. Taking part in the study requires using a device at home to monitor lung function, keeping a diary of symptoms and visiting a clinic 11 times for 45 minutes to a few hours. Participants will be paid for their time. For more information, contact PeChaz Clark at 866-362-5656 or email clarkp@wustl.edu.